I noticed that Dionysius posted his discovery of Gnostica, a game played with pyramids and tarot cards. I’m going to try really hard to keep this relatively brief, and avoid going down the rabbit hole of talking about everything there is to say about this game and the topic of Looney games. But, I’ve got to say something! While you do need a deck of some kind, you don’t really need to use a tarot deck. I made my personal deck out of blank note cards. 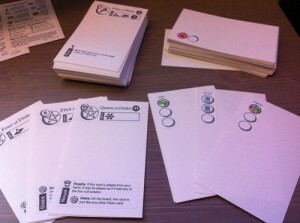 Actually, I made both a Gnostica and Zarcana deck, because I wanted to play the two similar games and compare. However, there is no denying that a real tarot deck would look awesome during play, and have to bonus of freakin’ our both the squares and the uptight. 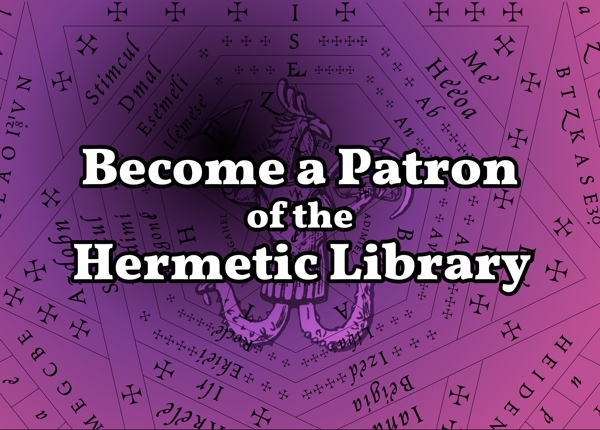 It has always been my plan to dedicate a Thoth tarot deck toward this purpose, but I’ve not yet done that. Other than a deck of cards for territory, you’ll need a number of Looney Pyramids. Think of the pyramids kind of how you do a deck of cards, something that is used to play a large number of games. 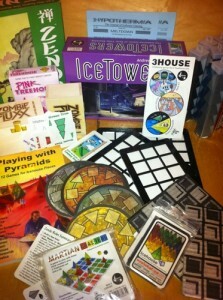 There’s a whole lot of history to these pyramids, which you can find and read; but, you should take a gander at IcehouseGames.org Wiki, the fan-built wiki of games that people have designed for play using the pyramids to get an idea of how these are used. 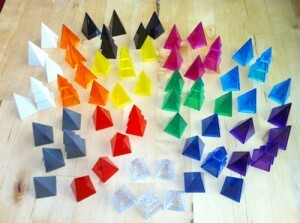 There are actually a large number of pyramid colours that have been available over the years, though currently there are two sets of colours that come boxed together. In order to play a game of gnostica, you really should have five boxes of Looney Pyramids so that you have a stash of 15 of each colour, since 3 of each colour come in each box. The pyramids themselves come in three sizes, each having 1 to 3 pips on them, so a complete stash of 15 pyramids of the same colour will have 5 of each size. And, I can personally vouch for the way that one can become a little bit obsessed with all the various accessories and tchotchkes. 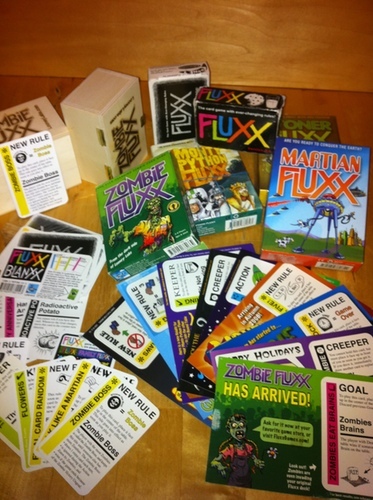 If you’re interested in the Looney Pyramids, and games you play with them like Gnostica, you may also want to look at some other nifty games from Looney Labs, like Fluxx (including a planned Cthulhu Fluxx at some point!) and Chrononauts. The Looney Pyramids and Fluxx games are part of a set of games that have flexible or self-amending rules, and I personally find the way I think about playing these games to be similar to the way I think magically. I keep meaning to write my thoughts about that down, and had the notion of a class on “Games Magicians Play” where I would share my thoughts with others. 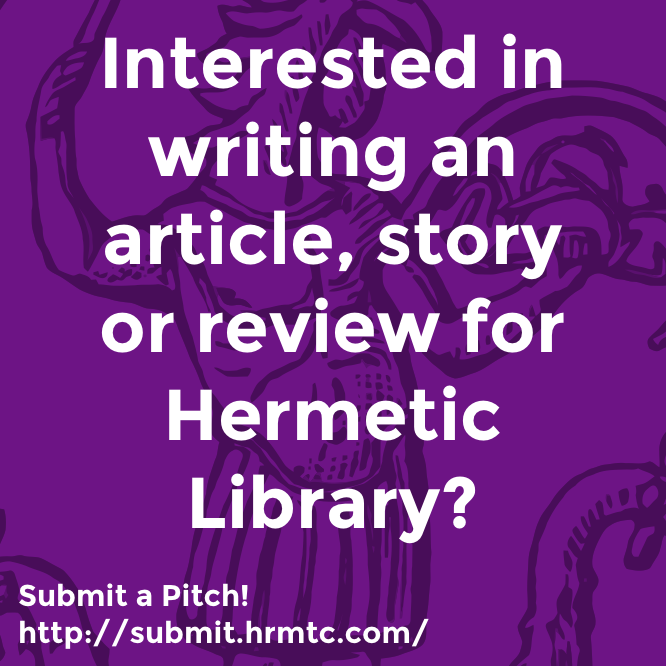 To just put this out there then, I find the need to be flexible and adaptable, while still maintaining a focus on intention, to be an excellent way to play with magical thinking outside of ritual. Of course, for me, this all started with Peter Suber’s Nomic, which is one of the first games of self-amendment I ever explored. Problem was, it just wasn’t fun. And, if the single necessary and sufficient Nomic rule is “all players must agree on the rules of the game” then it seems to naturally follow as a corollary that “all games should be fun” … you know, unless you’re into the kink of playing games that aren’t fun, I suppose. But, these games from Looney Labs have always seemed to fit that necessary and sufficient core rule and its corollary; they have always maintained a consistent level of fun and interest for me that no other games have sustained. Check out Gnostica, or the other Looney Labs games, and let me know what you think about my hypothesis about them being a game that mirrors magical thinking, or if you have games you think other magicians should know about consider letting me know or sending me a review of them. 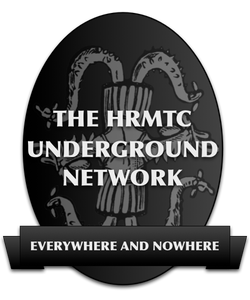 This entry was posted in T Polyphilus: Vigorous Food & Divine Madness, The Hermetic Library and tagged design, fluxx, Game, nomic, peter suber, pyramids, rabbit hole, T Polyphilus, tarot, tarot deck, thinking, thoth tarot deck on December 8, 2011 by John Griogair Bell.